Shiva Skunk, the super-resinous Skunk hybrid, is among the most potent indica dominant strains ever created and now her sublime genotype is available as a feminized autoflowering cannabis strain! Made from Northern Lights #5, Skunk #1 and true-breeding Ruderalis line, Shiva Skunk Automatic seeds can produce the strongest autoflowering plants we’ve seen! Shiva Skunk was an instant hit when she was released in 1987 as a cannabis seed strain with the simple (if somewhat cryptic) name “NL#5 x Sk#1”. That abbreviated working title caught the attention of cannabis enthusiasts who were familiar with Northern Lights #5 and Skunk #1. Those were two of the most powerful cannabis strains known at the time and that name indicated that they were, respectively, the mother-plant and father-plant which created the new Skunk variety! Even before she had been formally named Shiva Skunk, our ‘third wave’ hybrid was already gaining a reputation as the next major advance in cannabis breeding. 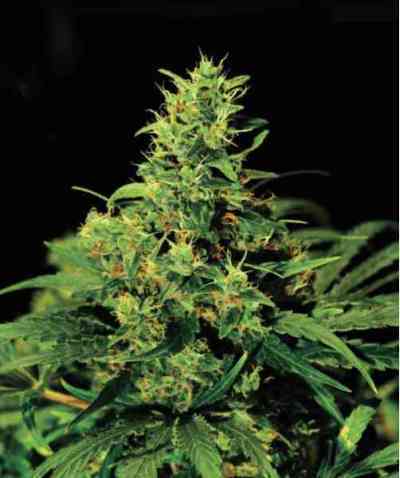 Many years later, Shiva Skunk Feminized was released and quickly became a favourite of novices and connoisseurs alike. Today, the most recent evolution is Shiva Skunk Automatic - a feminized cannabis seed strain with the extra advantage of automatic flowering! Through several generations of backcrossing during the development of this strain, the best qualities of the original Shiva Skunk’s parent-plants have been faithfully maintained in Shiva Skunk Automatic. The vigorous growth of Skunk #1 and outstanding resin production of NL#5 are undiminished, while the influence of the Ruderalis parent means that plants begin blooming according to their age, regardless of day length or photoperiod. Because Shiva Skunk Automatic flowers at a certain age and height, most plants will have a quicker overall cultivation time and will finish shorter than regular and feminized versions of Shiva Skunk. As with all autoflowering strains, growers cannot influence the final size of plants by extending the vegetative stage, because the length of each plant’s growing period is largely predetermined. Nevertheless, cannabis plants grown from these seeds can still produce exceptional yields of solid buds. Shiva Skunk Automatic can be grown indoors with lights or outdoors during the spring and summer in most temperate climates. The autoflowering tendency means that this strain can also be cultivated in environments with unusual photoperiods, such as the constant 12-hour days found near the equator (which is normally only advisable for sativa strains) or the extra long midsummer days of the far north (where Cannabis ruderalis originates). Indoors or out, Shiva Skunk Automatic plants begin flowering automatically around the time they produce their fifth to eighth set of full-sized leaves, which normally happens after 6 to 8 weeks of vegetative growth. Plants will reach final heights of 90 to 140cm during the 8 to 10 week flowering period which follows. Both of the Shiva family’s original parent-plants influence the prolific bud structure and knock-down potency of Shiva Skunk Automatic. Later in flowering, buds greatly increase their mass and density and by harvest time they are encrusted with a mouthwatering layer of oversized resin glands, inherited from the one and only Northern Lights #5! This coating of cannabinoid-rich trichomes may become even more prominent after the harvest is dried and cured. All cannabis flowers shrink as they dry, and while Shiva Skunk buds don’t lose too much volume in the curing stage due to their excellent solidity, the change is enough to visibly shift the balance between plant matter and sparkling resin glands. Dried buds of Shiva Skunk Automatic are blunt-tipped, pale silver-green spears which glisten as light reflected from their profuse trichomes. A large proportion of this strain’s resin glands remain clear all the way through harvest and the drying process, and under magnification they can actually refract tiny rainbows! This strain exudes the Shiva family’s characteristic flavour and scent - a blend of pungent skunk musk and sweet citrus. The smoke produced by Shiva Skunk Automatic is thick, expansive and extremely resinous - sometimes described as ‘creamy’ or ‘oily’ by veterans, or simply as ´heavy´ by less experienced smokers. Shiva Skunk´s extreme body-mind potency may impart a wide range of varying effects in different people, making them red-eyed and giggly, or deeply contemplative, or even filling them with energy and a desire for adventure. Cannabis novices and even experienced smokers who are sampling this strain for the first time are advised to proceed with caution, due to the exceptional strength of Shiva Skunk Automatic! Shiva Skunk Automatic is an unbeatable all-round strain! 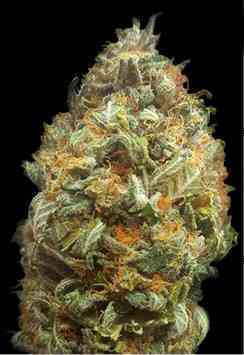 It has all the easy-growing features of a Skunk - vigorous and compact with thick, fast-developing buds. In addition, the influence of NL#5 means that Shiva’s branch of the Skunk family tree is by far the most potent. Shiva Skunk Automatic has the extra advantages of being a feminized, autoflowering variety! For cannabis seeds with the best combination of simple growing and super potency, choose Shiva Skunk Automatic!